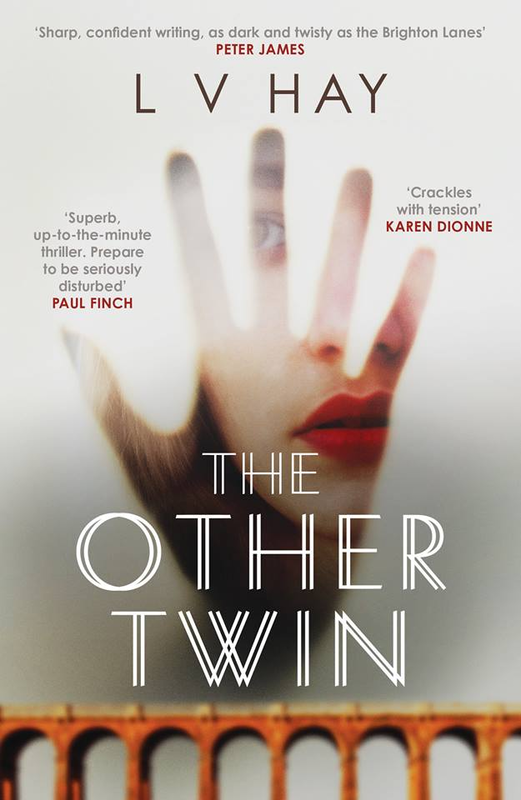 In this edition of our Indie debuts series I’m talking to author Lucy Hay about her thriller ‘The Other Twin’ published by Orenda books. It’s set in London on Sea, or Brighton as others may know it, a place which has always been some what subversive and alternative in nature and has attracted delight and dismay in equal measure. Her novel weaves its way through this setting and works itself into the cracks between the outward glitz and underground decadence of the town, and into the lives of two families which are equally enmeshed, one with the other. I opened my interview with her talking about the setting, as for me it came across as a tangible and exciting creation which was central to the book, almost a character in its own right. Almost like cities such as London and Edinburgh, Brighton has a strong, vivid presence in fiction, which means that many people must come to any new representation of it with a lot of familiarity. How well do you know it as a place and do you feel the weight of all those ‘other’ Brightons behind your writing? I knew I had to get Brighton right. It’s a vibrant city that has such a significance for so many people, especially the LGBT community. I knew that classics like Graham Greene’s Brighton Rock right through to modern icons like Peter James’ Roy Grace would be compared against my version of Brighton – which people have, in reviews – so yes, that was a pressure. But ultimately, I had to let go of that and bring forth MY vision of Brighton, not recycle someone else’s. So rather than pore feverishly over published content, I went to Brighton and sucked up the atmos there, using my eyes, ears and other senses to really get a ‘feel’ for the place. Hopefully I have transmitted that to the page. Your novel uses the dichotomy between the public and the private of the internet to great effect, the way that we publish the most intimate thoughts to a world of strangers and yet keep them from our nearest and dearest. How do you feel that sense of sharing and yet not sharing has affected how we live now? I’m always reminded of Shakespeare’s notion of the ‘whole world’s a stage’ quote when it comes to the internet. We all have online personas now, just as we have public and private ones. How we use these online personas can differ, person to person. For some, the online persona is a ‘work thing’ – they may create a brand and strategy, that is very carefully crafted. For other people, online may be the only place they can speak the truth and truly be themselves. For just as many, it is somewhere in-between. Social media has so many wonderful applications, especially for women and marginalised people to find their tribes and create opportunities (including work and money). But it also has a dark side: too many people abuse social media – such as trolls – and even more use it to fuel the neverending cycle of outrage we currently live in. It’s become a conformity factory, with perceived transgressors piled on and harassed; those people calling out others then kid themselves they’re raging against the machine and/or taking on the system. It’s a real shame. There are a lot of hidden identities in the book, some hidden willingly, some desperate to be uncovered. Do you think that the struggle for truth in who you are is at the heart of your writing? Absolutely. I spent a very long time confused about who I truly was; I felt fragmented, even a fraud. It took me many years to accept my own identity and my – sometimes paradoxical – roles and emotions within it. Life is a journey and I daresay there are still lots of things I will find out about myself yet, too. But unlike before, I am not afraid to do this anymore. I think that’s why I wanted to write about identity and truth in The Other Twin – I feel it is all a matter of perspective, rather than a concrete thing. Reading your book I did reflect on how what might be called ‘Thrillers’ do seem to have a mostly white, female and middle class cast, especially those centred in a domestic setting rather than all spies and guns, if you know what I mean. Did you set out to write a book with a deliberately more diverse cast of characters? I feel very strongly that stories of any kind need more variety. 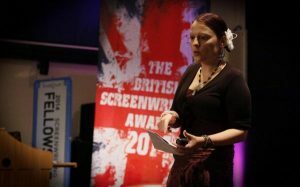 As a script editor and blogger at www.bang2write.com, I identified a need for stories to have more characters than ‘the usual’ a long time ago; not just for ‘political correctness’, but because there are swathes of the audience not being served – it’s good business sense! I have written several non-fiction books about writing, including one on so-called ‘diverse characters’, so it was a no-brainer to take my own advice! Lots of writers shy away from diverse characters like those from the LGBT or BAME communities, because they’re afraid of getting it ‘wrong’. I can understand and relate to this worry, because I felt it too. But I picked LGBT and BAME characters because of a genuine interest and feeling of solidarity with both communities; my friends and acquaintances sharing their own stories literally helped me inform the narrative. Their POVs were absolutely invaluable and I feel very grateful they shared their perspectives with me. There would have been no story without them. Do you start a book with an idea of where the plot is going, or do you pick up a thread and see where it follows? It depends. With The Other Twin, I saw the ending and ‘big reveal’ in my head, clear as day – as if it was a memory, like it really happened. I could see and feel it so clearly, right down to the location and the sense of urgency. From there, I asked myself: WHO are these characters? WHAT is happening? WHY? HOW did they get here? Though the ways of getting there changed through the many drafts, that ending never did. Assuming this is your first published book, or even if it’s not, I imagine like most of us it’s one in a long and worthy line of nearly theres and also rans, so what do you think you’ve learned about your writing by being published? Every book teaches you something in my experience. The Other Twin is my first crime novel and what I have learned from this one is how much difference an editor who really ‘gets’ the book makes. Both Karen Sullivan and West Camel at Orenda Books challenged me every step of the way to bring my best game to drafting process, they went through every line with the classic fine toothcomb! I was allowed to get away with NOTHING. The fiends! Where is your next book set, will you stay in Brighton or are you moving to a new location? Book 2 for Orenda is set in Epsom, Surrey. So very middle-class, white and straight … in both senses of the word. Probably the antithesis to Brighton, in fact! Cats, obviously. I have five of my own, I’m a crazy cat lady in training. When my kids have left home I plan to rant and rave and throw cats at everyone like the woman from THE SIMPSONS. It’s going to be awesome. BIO: @LucyVHayAuthor is a novelist, script editor and blogger who helps writers. Lucy is the producer of two Brit Thrillers, DEVIATION (2012) and ASSASSIN (2015). Her debut crime novel, THE OTHER TWIN, is due out with Orenda Books in 2017. Check out here website HERE and all her books, HERE. I enjoyed reading ‘The Other Twin’ as I am a sucker for a deep dark secret and the machinations people go through to keep it a secret. I found the main character appealing enough to want to go with her for the ride, and the world through which she traveled felt authentic and enticing. It also had a touch of glamour which one doesn’t often see in British set thrillers, which was a nice contrast to the darker side of the writing – I kept getting flashes of sequins and marble floors, bright lights and designer labels, like a brittle shell over murky waters. It also tackles some uncomfortable issues head on, in a way which wasn’t overly preachy, and it did give pause to reflect not only on what was happening in the plot, but what the book was subtly saying about the genre. So, if you fancy some nitty-gritty-glittery thriller action, this is definitely worth buying, and if you like Lucy’s work, it’s really good to see she’s got plans for many more with her supportive and high quality publishers, Orenda, who are certainly ones to keep tabs on. And right now the Kindle edition of THE OTHER TWIN is on a 99p promotion, so there’s no excuse not to grab a copy!